Input for external sensors. InfiSENSIS can be connected through this input to a plethora of commercial sensors, such as infrared radars electromagnetic traps, motion detectors etc. 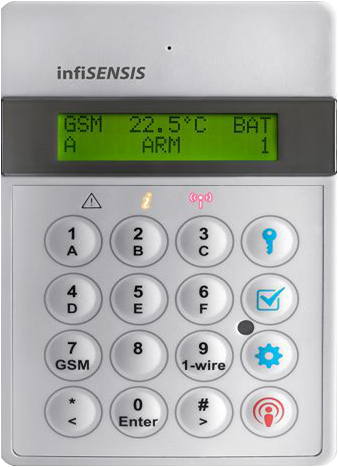 Urgent Help- Personal Alarm Activation (the system makes automatic calls to pre-stored phone numbers and switches on its ultra-sensitive microphone so that the remote user can acoustically monitor the protected area).